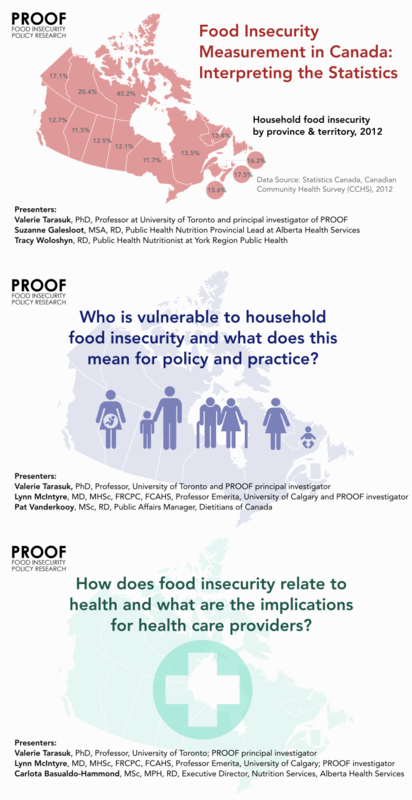 There has been less research conducted to examine the relationship between household food insecurity and other social determinants such as social capital (i.e. the value derived from social connections, social networks) and neighbourhood factors (i.e. proximity to supermarkets and community food programs). Lack of retail food access is commonly thought to be a significant barrier to food security, but there has been little direct examination of this. 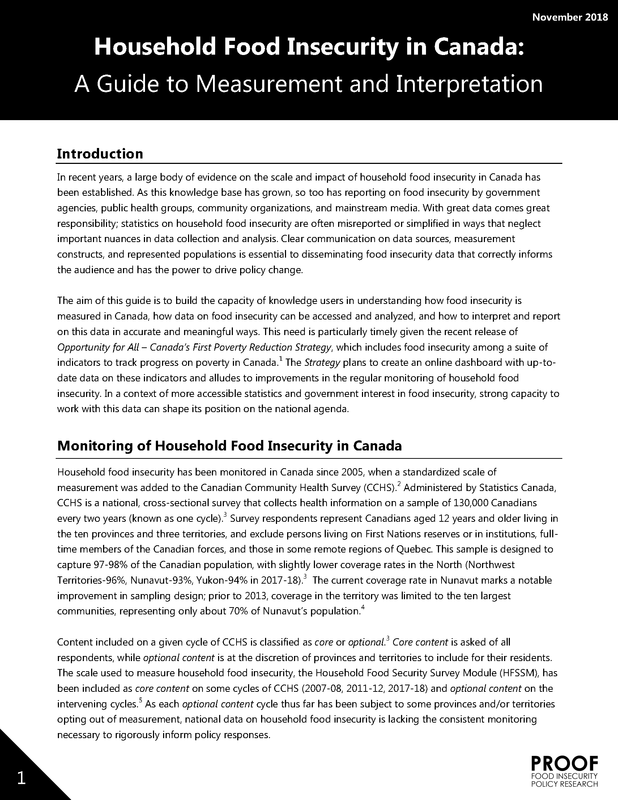 However, one recent study of families in high-poverty Toronto neighbourhoods found no relationship between geographic access to food retail and household food insecurity; 79% of households in this study were food-insecure despite the presence of discount supermarkets in their neighbourhoods. McIntyre L, Wu X, Kwok C, Emery H.
Canadian Journal of Public Health 2017; 108(2): e135–e144. Canadian Journal of Public Health 2017; 108(2): e129–e134. Journal of Hunger & Environmental Nutrition 2016; 11(4): 441-445. McIntyre L, Wu X, Fleisch VC, Emery JCH. Journal of Housing and the Built Environment 2015; 31(2): 349-366. McIntyre L, Bartoo AC, Emery JH. Public Health Nutrition 2014; 17(1): 49-57. Journal of Hunger & Environmental Nutrition 2014; 9(4): 433-448. Public Health Nutrition 2014; 17(1): 40-48. Carter MA, Dubois L, Tremblay M.
Public Health Nutrition 2014; 17(1): 94-112. Journal of Nutrition 2013; 143(8): 1316-1323. Carter MA, Dubois, L, Tremblay MS, Talijaard M.
BMC Public Health 2012; 12: 1038-1048. Journal of Urban Health 2011; 88(2): 284-296. Vahabi M, Damba C, Rocha C, Montoya EC. Journal of Immigrant and Minority Health 2011; 13(5): 929-939. Associations between household food insecurity and health outcomes in the Aboriginal population (excluding reserves). Public Health Nutrition 2010; 13: 1139-1148. Canadian Journal of Public Health 2009; 100: 184-188. Public Health Nutrition 2009; 12(8): 1150-1156. 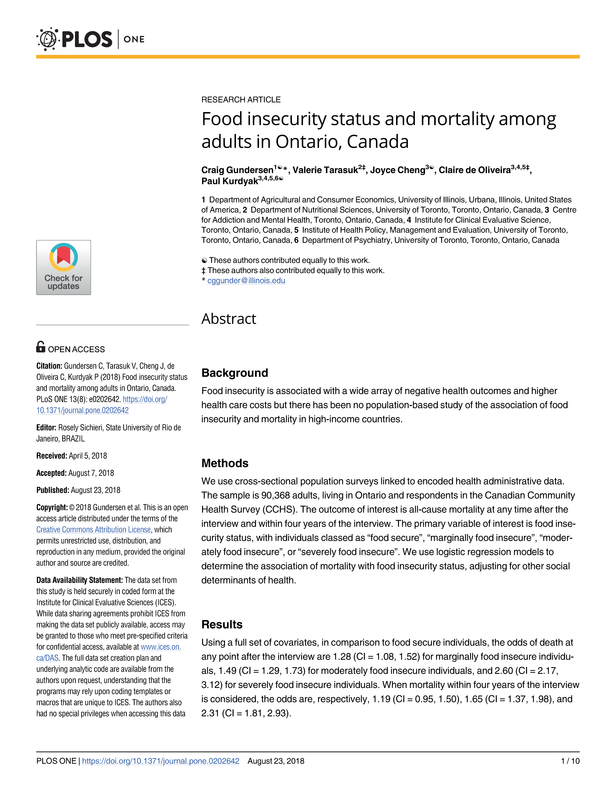 Canadian Journal of Public Health 2008; 99(4): 324-327. Ricciuto L, Tarasuk V, Yatchew A.
European Journal of Clinical Nutrition 2006; 60: 778-790. McIntyre L, Glanville NT, Officer S, Anderson B, Raine KD, Dayle JB. Canadian Journal of Public Health 2002; 93: 411-415. Health Reports 2001; 12(4): 11-22.